This was on a rare warm day a few weeks ago. The top will be down more often now that spring is here. 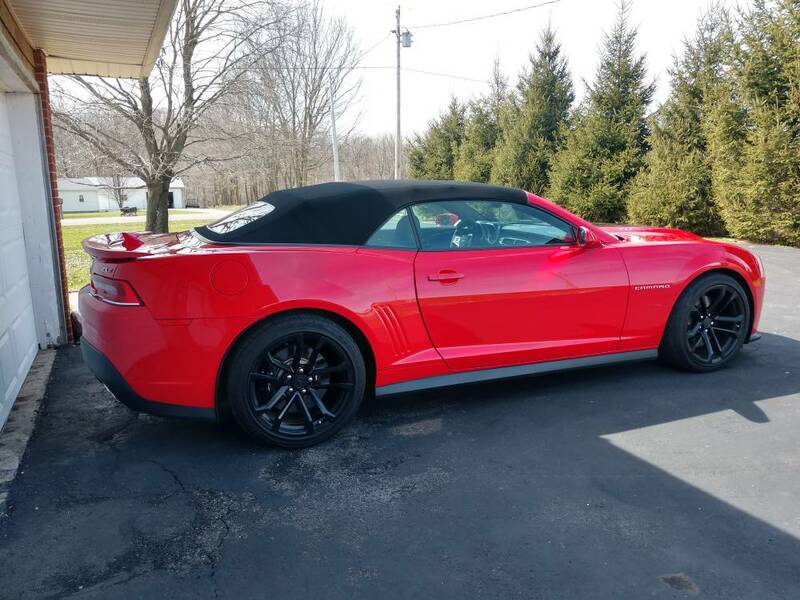 2017 Black Camaro SS Convertible. CORSA exhaust, cold air induction, purple rally stripe, interior and exterior under glow. Love those proper Chevy stripes! Are they painted on? The Camaro looks great in American racing livery! Washed, waxed, and ready for spring! 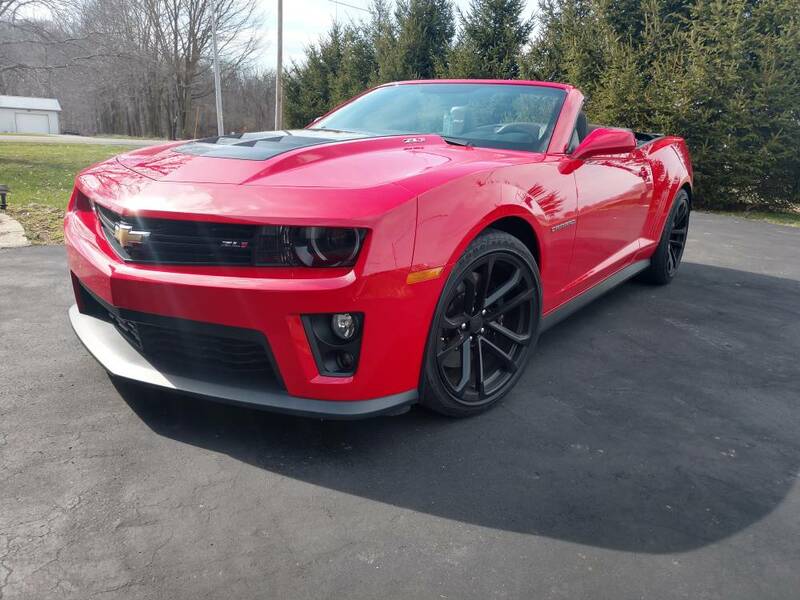 Found a 2018 with 4 miles on it two weeks ago....Love it! Not missing my 67. Picked her up last August for half the sticker price! All is GREAT in my world!! 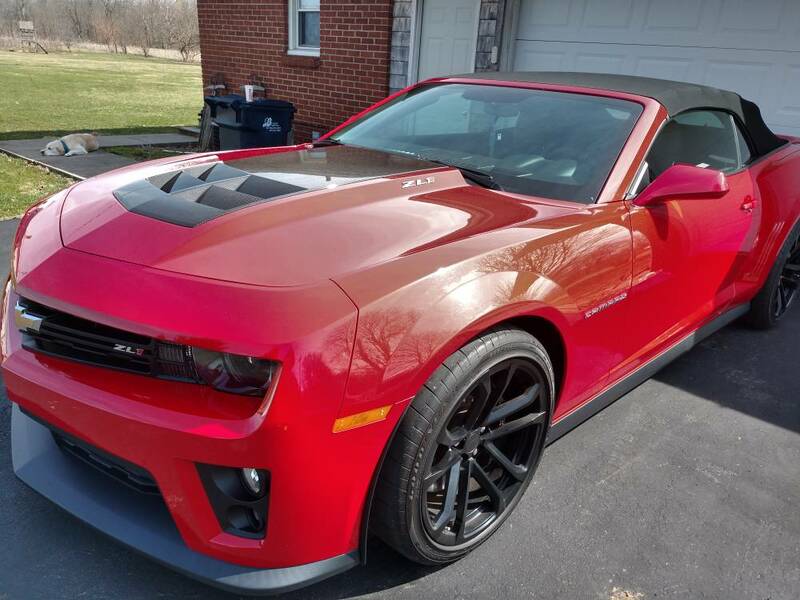 2015 ZL1 Former GM show car. Basically brand new. Picked her up in Jan.
Love this forum and tread.